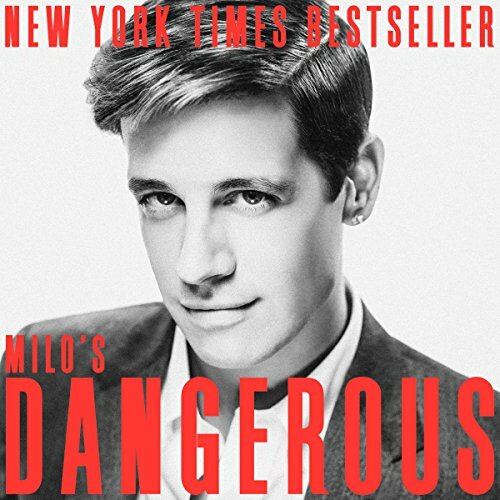 Now while I did consider buying the hard copy a few times, reading isn't quite my thing, so I am glad Milo made an audiobook for it. 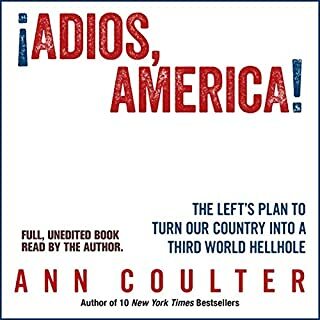 During a boring plane trip, I listened to this audiobook, and help fill in time as I hear about Milo's POV of political correctness and many more topics, and I loved the historic insight Milo gave on culture, as a Gen Z, it helped me better understand the process of liberal propaganda. I’m a hetero male, three kids, wife, work in a mainstream medical field, bought up in a conservative left wing (I know paradox, right?) Australian family and found this book and the reading of it to be the antithesis I needed to keep my sanity in the predictable socialist world we now find ourselves in. Thank goodness for people like Milo who can mix intellectual prowess with humour and cutting insight. Listen, read, borrow or get a pirated copy (I doubt the author would mind) just get you hands on it and spread the word. Now watch below for the magnificent, whining comments that are sure to follow this review. Excellent alternative view to the mainstream. Enjoyed this book, well layed out, clear and straight to the point. A must for anyone on the fence about politics and culture in 2018/19. This is a classic example of why audio books are better than physical books. Milo is Milo’s biggest fan and he doesn’t hold back in the delivery. The love is sincere. Emphahsis is genuine and perfectly timed. As for the content... you will have heard all of it before but this is the total download. Milo is perfect for this time. 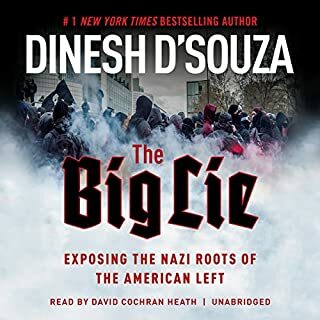 Indeed the left wrote this book. All the best lines are leftist lines turned around. One may well. Wonder what Milo would have written about if the PC left wasn’t so crazy. In the meantime one can listen to this entertaining book. He truly is the Clown Prince!! Milo is an impressive mind - the mental gymnastics he achieves is quite remarkable, not only in this book but also live onstage. He should really be the hero for gay men everywhere as an example of someone who has had all the struggles relating to his sexuality yet has managed to come out the other side stronger and all the more powerful for owning them. Sadly (for them, certainly not for Milo) he continues to be ostrasied and vilified by all homosexuals who disagree with his politics and he gives excellent arguments for why they are all so wrong!! Politically, Milo is brilliant - and he doesn't mind telling you as much in such a gorgeous flamboyant manner that you have to agree!! He is also very naughty. 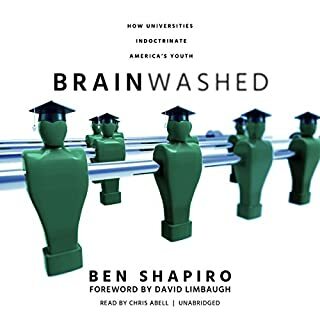 I debated as to whether it would be appropriate for my 14yr old son to 'read' this book given the topics and language can be rather robust and confronting, however I felt the messages Milo was sharing were important and given my son's level of intelligence I knew he would 'get it' despite the nature of Milo - and he certainly did. My son does not show any signs at this stage of being anything other than a straight white male, but Milo is now firmly his hero. The content and style is precisely what you would expect from the author. 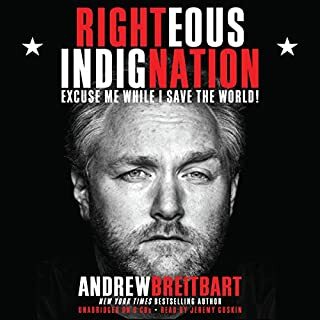 If you are already familiar with Milo then you would have heard much of this in speeches, articles and interviews, but in book form it provides a more detailed and organised resource. I loved the expressive reading, complete with genuine laughter at the pure idiocy of some the quotes. I am 50 this year and was Christian Conservative Military Vet/spouse in the 90s, raising young sons. 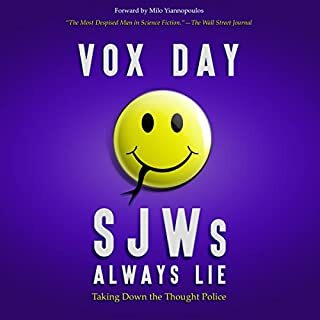 If someone had told me back then that I would be reading & listening to a conservative gay provocateur and having to thank 'gamers' for saving the 'Right Wingers', I am sure my head would have exploded. I don't agree with everything Milo says. I think some jokes are just a little too barbed. In fact, I bet everyone that listens to Milo falls somewhere between "doesn't entirely agree" and "vehemently disagrees". However, it's interesting that those who disagree the most with Milo are also the ones most opposed to his most voiced belief: freedom of speech matters. It's this fact that makes him worthy of consideration. 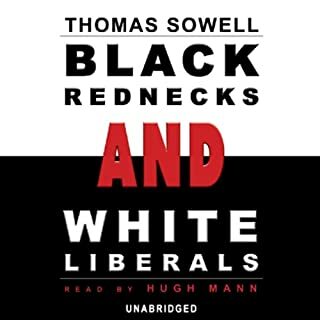 As he states in the book, he's the antithesis of what the regressive left deems acceptable - and that includes saying things that are controversial. For me, I'll take controversial thoughts any day over authoritarian thought police. ...politically correct speech. Milo Yiannopoulos is a outrageously profane and flamboyant British provocateur who has brought his marvelous talents to the US, especially to university campuses where the need is probably greatest. 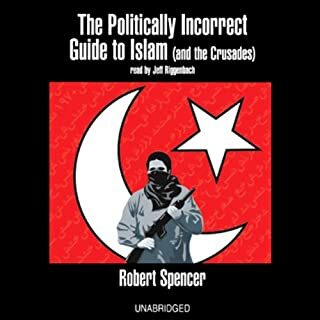 This book was originally commissioned by a major publishing house which dumped the project due to pressure from leftist radicals. So Milo self published and will likely find the book more profitable than it would have been had Simon and Schuster published it. 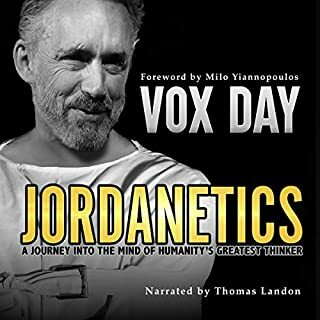 The audio book is better than the hardcover and ebook versions because Milo narrates it as only he can. As a first amendment absolutist I applaud the way Milo has unapologetically taken on the cancer that is politically correct speech. Sure, his methods may be over the top, but they are effective. I do not agree with everything says or believes, but Milo Yiannopoulos is beyond doubt an effective force for freedom of speech. When the 2016 election is sufficiently far enough into the past that historians can get a balanced view, I suspect their consensus will be that the imposition of politically correct speech by the Marxist left in the university, the media, and Hollywood (the cultural leadership) was a major factor in triggering the US voters to elect Donald Trump. Dangerous is as profane and outrageous as it is necessary and appropriate. Hillary Rodham Clinton wrote What Happened for her true believers rather than the general population. Milo Yiannopoulos wrote Dangerous for the general population expecting to please some and shock others. a blueprint for anyone fed up with the regressive left. hilarious and insightful. money well spent. The nuances, tonality and overall eloquence in Milo's delivery truly reinforce the message in a way the mere written word can't. Milo cuts to the core of the state of discourse in the United States. Love him or hate him this book is thought provoking and needs to be read regardless of ones political ideology. Milo never disappoints. This book accomplishes more than all of the works of the likes of Mark Levin and so on. It is real and live. What it talkes about can be reached out and touched. A MUST BUY! Milo knocks it out of the park with this irrevently thought provoking masterpiece. Mr. Yiannopoulos holds nothing back in assailing the Establishment Left, the SJWs, ANTIFA, etc. with humor, pizzazz, and cold hard facts. Perfectly done. Milo narrating adds his special for for the dramatic. A+ I just sent it to a couple people who I would know enjoy this book. and I loved this book I also love Milo (im mot gay by the way) I will be buying more and watching more Milo on YouTube. So glad Milo narrated this as well. Book is sharp, funny, uplifting and motivating. Anyone can read this book young or old. He is balanced, collected and loaded with facts and evidence. I intend on listening to it again soon. This is a good book, well performed and plenty of funny moments, it’s flaws lay with what is missing. Gamergate gets a handle of mentions and a small section of a chapter, but nothing of his appearance at the SPJ. There is no mention of his troubles with the Privilege Grant he set up, nor does he go into much detail over the trouble that he got in which resulted in him leaving Breitbart. Such a refreshing book. Read with Milo’s ever-flamboyant style, I think be may have turned me gay. 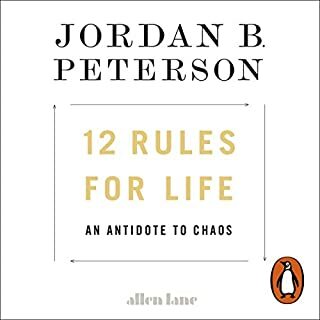 Highly recommended for all those out there who think the world has turned into a pessimistic, regressive shithole of mediocrity, gender pronouns and perpetual outrage. This is the self help manual to change that. If you ever wanted a summary of all of Milos believes, and fundamentally of all that's wrong with the world right now, get this book. A strong depiction of the last few years on the internet, and probably the most accurate and genuine depictions of intent culture ever written. Milo's performance brings that energy to the piece that would be lost in a audio book. 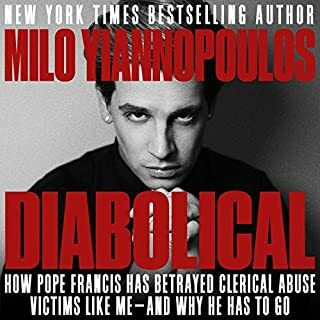 this book is for everyone, because wether you know Milo's work or hate him, you'll now know his points more in-depth than ever before for you to enjoy or refute. and to people who don't know who he is or think gamer gate was just misogynist's being mean then this also is the best account of those series of events. By turns thought provoking, hilarious, outspoken, ribald and devastatingly un-PC. Thank God. Milo skewers the Sacred Cows of political correctness, thought police, "I bathe in male tears" feminism and the rampant protection of Islam against all criticism. A timely reminder that our freedom of speech is being eroded by an Orwellian thought police where all views are acceptable as long as they conform to a left wing paradigm. Laugh out loud moments when his aserbic tongue lacerates some hapless target, coupled with the irony that whilst he has been heralded as the poster boy for the Alt-Right, he is hated by them for being a gay, Jewish man with a penchant for black boyfriends. the irony isnt lost on him for a moment. Would you consider the audio edition of Dangerous to be better than the print version? Absolutely. 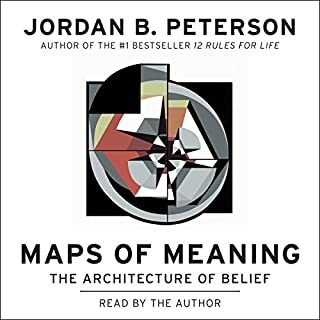 I very rarely buy Audible books that are not read by the author because their personality is absolutely critical to their words, especially with Dangerous. 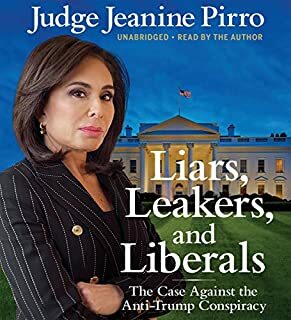 Milo IS the book in this case. Although you would expect Milo to expose crazy SJWs and left wing nut jobs in academia and the mainstream media, what was a real eye opener to me was how he teaches you about many new things. An example is where he teaches you about left wing consultancies who threaten companies that don't buy their stupid "Unconsious Bias" training services. These parasites will threaten to tell lies to the mainstream left wing media that they hate minorities etc if companies don't play ball. This is disgraceful and I would never have known this if I hadn't read this book. 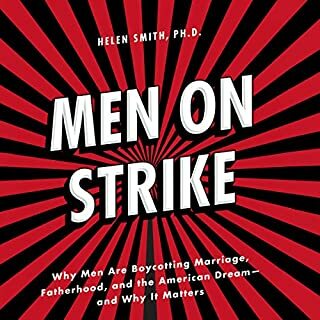 I thought I knew how SJWs operated, but this book took my knowledge to another level. There are many more examples like this. Which character – as performed by Milo Yiannopoulos – was your favourite? His vocabulary used to describe all types of left wing people / celebrities / academics was simply awesome. VERY entertaining, yet his words strikes them through their hearts! One was the Consultancy piece mentioned above. Second was the section about Gamergate, which I had never heard of. The build up and conclusion of this section had me cheering in my seat, Conservatives will love this! Thirdly, was the last section in the book on how to fight back against the left. I won't spoil anything here because these recommended actions are amazing and everyone can use them. 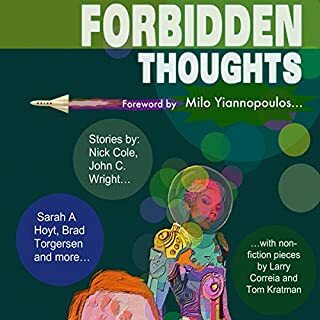 I had never heard of Milo until I read an article about his upcoming book being banned ages ago. After doing some reading about him, I made a mental note to buy the book if/when I ever saw it on sale anywhere. Once I saw it and purchased it on Audible, my expectations of this book were neutral. 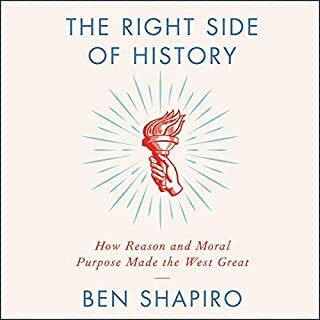 By the time I finished it I thought that this was one of the most educational AND entertaining books I have listened to in a very long time. 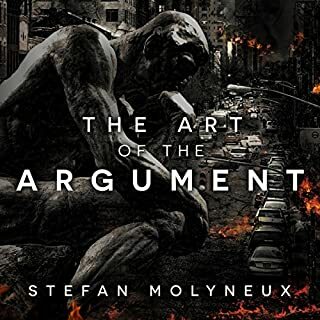 Conservatives need to buy this book in order to understand fully how to combat the left and put into action the recommendations made at the end of this book. 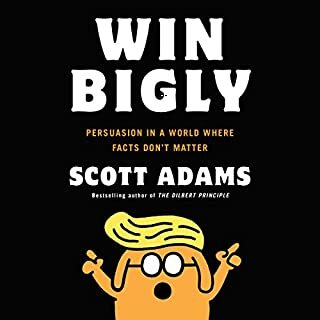 The book is entertaining and so very needed at this very moment in time ! Advertising conservative ideas packed in humour and a bit of "outrageous-ness" is the medicine to rally the millennials and possibly the generation which comes after that ! It is vital that we have advocates for FREE SPECH on the "public scene" / "public square" who sustainable can both create interest as well as win the discussion ! Milo provides this through his public appearances, through the net as well as through this book.